Three-time Moto3 race winner Niccolo Antonelli will switch to the Red Bull KTM Ajo squad for the 2017 campaign, joining Bo Bendsneyder. The 20-year-old Italian's first season with the KTM works team will be his sixth overall in Moto3 as he replaces Moto2-bound Brad Binder. 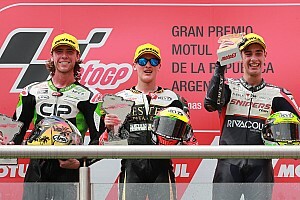 Antonelli's five campaigns so far have yielded a best finish of fifth overall, and he's taken three wins in the category - all three coming aboard Ongetta's Honda bike. 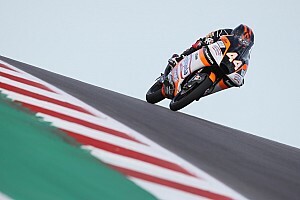 He currently sits 10th in the standings, four spots ahead of his future teammate Bendsneyder, the Dutchman contesting his first Moto3 season on the heels of a Red Bull Rookies Cup title. 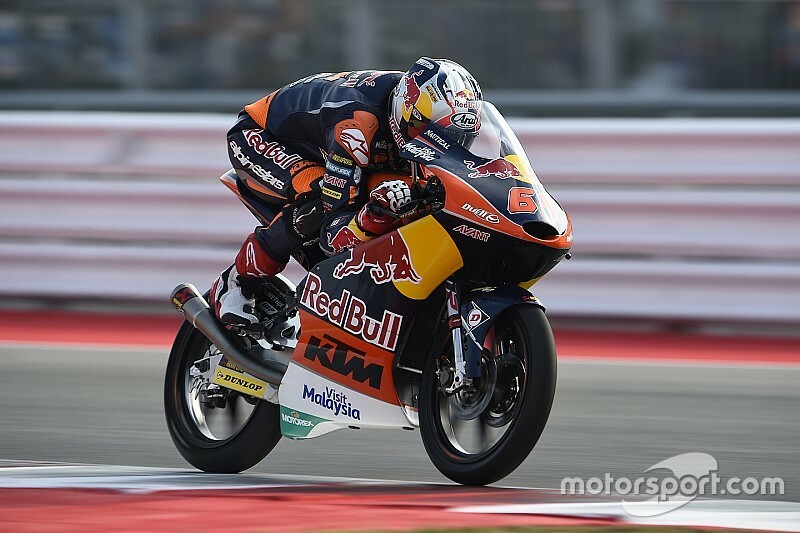 Red Bull KTM Ajo's current team leader Binder is 19 points away from clinching the 2016 Moto3 crown, with five races left to run. "So far the 2016 season has been very successful and we hope to crown it with the rider's title going to Brad Binder, and hopefully also with KTM taking the manufacturer's title," said KTM's Moto3 project leader Christian Korntner. "Now we're delighted to be on course with Red Bull KTM Ajo for another successful year in 2017. "After his outstanding title win in the Red Bull MotoGP Rookies Cup 2015, Bo Bendsneyder has gone on to have a remarkable rookie season in Moto3. We're confident that he'll continue this upward trend next season and be able to be more consistent. "Niccolo Antonelli already knows the feeling of winning, and with the structure and team of Aki Ajo supporting him, he should advance to being an absolute winning rider next year."